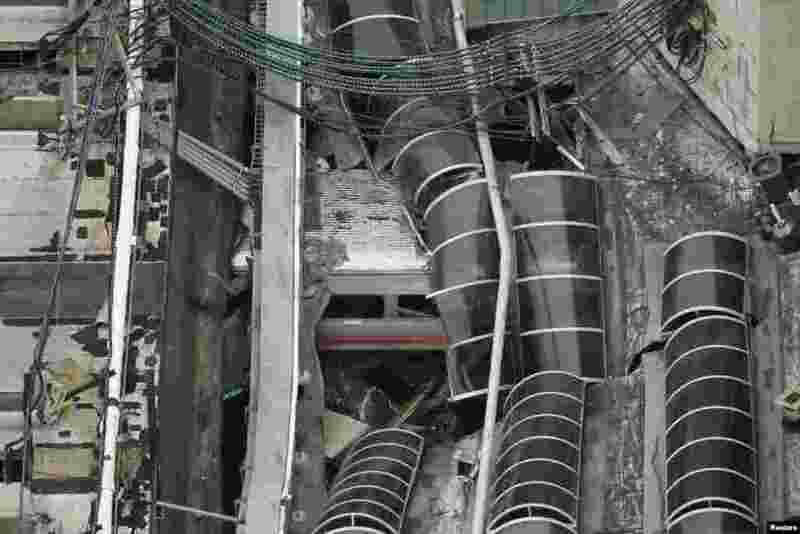 5 A derailed New Jersey Transit train is seen under a collapsed roof after it crashed into the station in Hoboken, New Jersey. At least one person was dead and 100 others were injured. 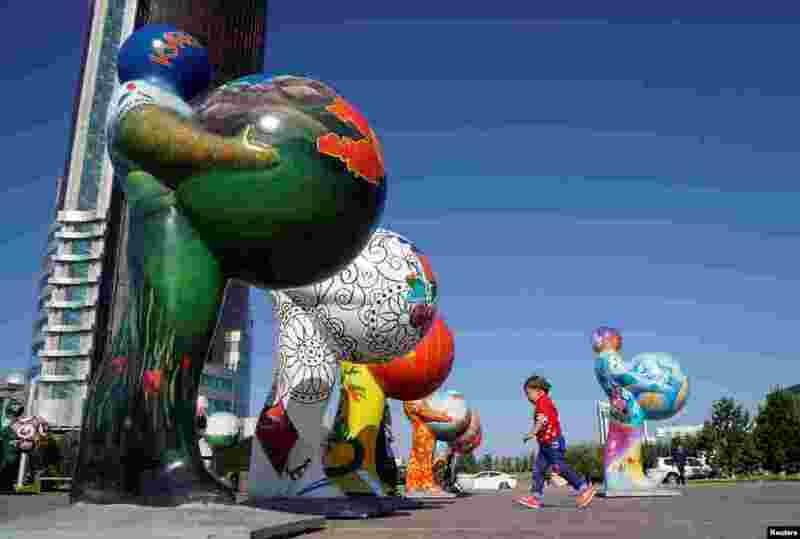 6 A boy runs past figures symbolizing countries participating in Expo 2017 at downtown of Astana, Kazakhstan. Astana will host the exhibition next year . 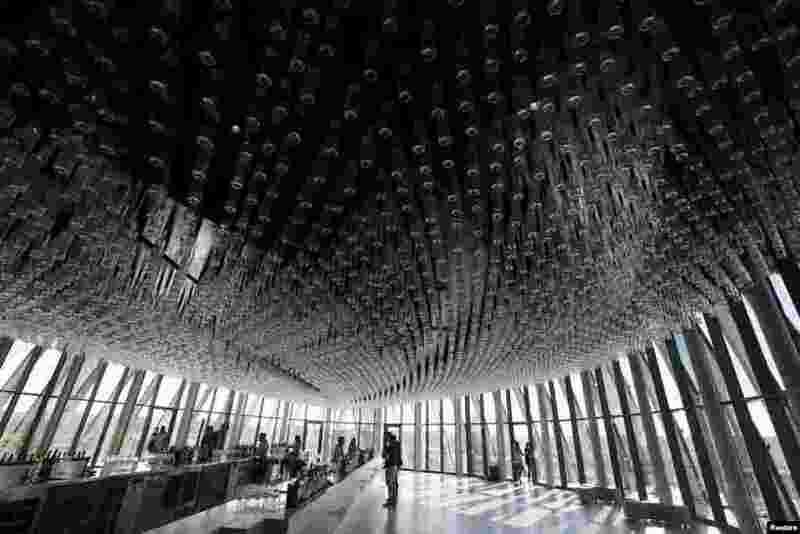 7 People visit La Cite du Vin (the City of Wine), a Center for Wine and Civilizations devoted to the cultures of wine, in Bordeaux, France. 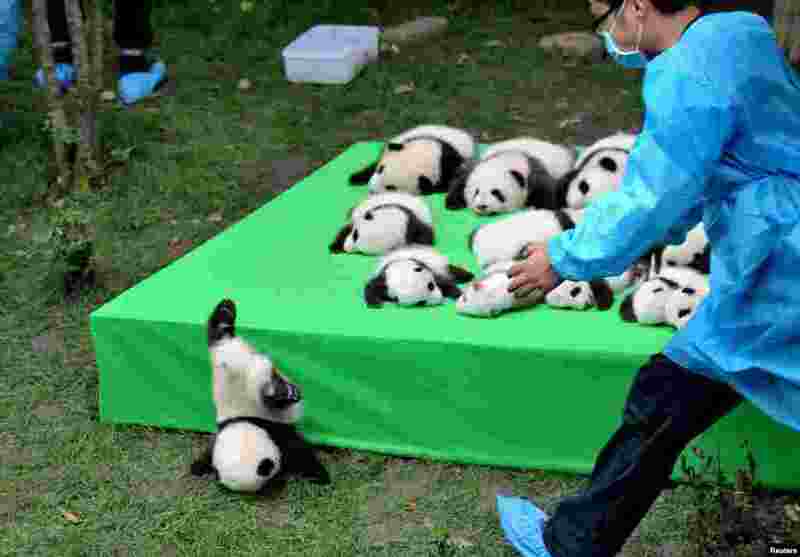 8 A giant panda cub tumbles from the stage as 23 giant pandas born in 2016 can be seen on display at the Chengdu Research Base of Giant Panda Breeding in Chengdu, Sichuan province, China.